France has decided to remove Jersey and Bermuda from its tax haven blacklist as they have been cooperative in sharing fiscal information. EURACTIV France reports. According to a letter from the French finance minister, Pierre Moscovici, and the budget minister, Bernard Cazeneuve, to the rapporteur of the finance committee of the French parliament, Christian Eckert, the two island states gave positive responses to the requests for fiscal cooperation that France had demanded after they were added to the blacklist last August. The blacklist consists of non EU member countries that do not have an administrative assistance convention with France, which makes it possible to implement French fiscal law. The inclusion of Jersey and Bermuda on the list had no concrete consequence. Retaliation measures related to taxes applied on transactions by French companies or persons transferring funds in those countries were never used. Those taxes can be very high, going up to 50% for capitals transferred from France to Jersey, which forced companies to look for other tax havens. The blacklist of countries considered as tax-haven is thus about to be reduced further. “We will propose that Jersey and Bermuda be removed from the list of non-cooperative states when the list is updated in 2014,” the letter published on 30 December by the finance ministry said. The ministry considers that adding those countries to the list was efficient as the cooperation conditions with the local fiscal authorities have allegedly improved in four months. The allegation comes as a surprise since Jersey is known to put in place a series of intermediate companies of which the owners’ identity is kept hidden. The Channel island of Jersey has a flourishing financial industry which represents a third of the local jobs and French banks are very present, such as BNP Paribas with eight subsidiaries and 350 employees. Société Générale has 150 since it bought the bank Habros. 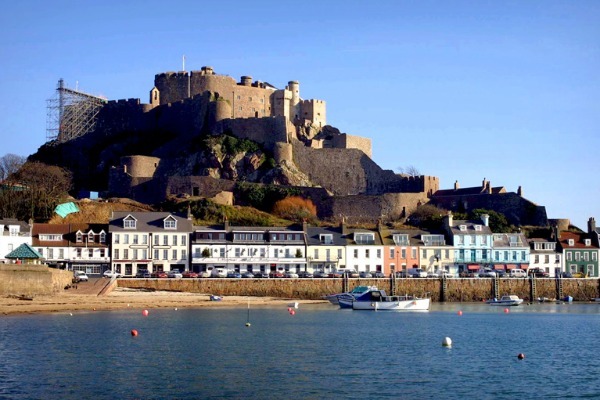 According to the French finance ministry, the status of Jersey would have penalised those institutions, which made their opposition to the blacklisting decision very clear. The list of states considered as tax havens is getting smaller and smaller. The British Virgin Islands, which were added to the list last August, are not expected to be removed. Otherwise, no other major tax haven is included. Botswana, Brunei, Guatemala, Marshall Islands, Montserrat and the islands of Nauru and Niue should also remain blacklisted. But the Cayman Islands, Liechtenstein and Panama, where financial industries are way more opaque and developed than those in Niue, are not mentioned. The French Socialist MP, Yann Galut, who is advocating for more transparency in financial matters, promised to question the ministers about this surprising decision. Tax evasion deprives EU governments of roughly €1 trillion annually, according to estimates. France, in particular, wants to underscore its determination to tackle tax fraud. Although limited in scope, action to tackle tax evasion at European level has proven to be effective. Under the EU Savings Directive, for example, member countries exchange information on non-resident tax-payers to the value of €20 billion. The challenge now is to deepen such cooperation and strengthen common tools. In this respect, an agreement by member states on the revised Savings Directive is essential.